Email is by far the fastest and easiest way to communicate with me regarding your design. Please do not send design questions through my personal blog or social media IM. These communications get lost, and are very informal. Proper communication is key to the success of your project. Agreed Upon Tasks: I work in phases of completion (Phase I, II, III), otherwise called “milestones” and they will be indicated on the Project Management Portal. At the conclusion of each phase, payment will be required to continue to the next phase. All tasks are also visible in your Project Management Portal. Changes requests: The design process is just that…a process. You may want to change it or start over. Understand that these changes result in additional time or work on my end, and may result in additional charges and will be added to the final invoice. Disclosure of Important Functionality: If you have an existing website which has a very specialized function, (such as a submission form, a special plugin) please inform me of these specialized functions prior to me starting on the project. If you forget to mention important functionality, a theme change could result in losing this function. Rebuilding this function could result in extra time and charges to ensure compatibility or to find an alternative functionality that works for you. Plugin Compatibility: If you have an existing website, understand that some themes aren’t compatible with your current plugins. If that is the case, after installing it, I may need to disable them and find alternatives for you to use. Access and passwords: During the course of your design, I may ask for you to send me certain code snippets from other various accounts to connect them to your blog (such as Adsense ad code, Feedburner ID, etc). If you are not sure how to set these up separately, I am happy to provide you with links to tutorials so that you can set these up. However, to do a fully assisted walkthrough on a live call would fall under “Live Training” at the cost of $90. I have received a deposit. 100% Completion: Once a project achieves 100% completion, you’ll have up to one calendar week to contact me for follow-up support. Please note that this is in relation to the function of your site — within reason. This will not cover tasks such as redesigning a new logo, adding new plugins, fixing things you choose to add yourself, building in functionality not included in the original quote, etc. Training: If you are a beginner and require blog training/coaching – please request that we set up a WordPress Coaching session separately ($90/hr coaching rate applies). Questions: I am happy to answer a handful of questions during the design process, but questions asked after the support period may be charged additionally. I can be hired by the hour for a few tasks as needed (minimum $50). Storage of Files: I do not keep files for your design post-installation. If you need me to store these for you, please request this prior to the final payment is invoiced and I will add a $25 fee to your design. Note that this includes only your design-related files (like the background and header images) and not your theme or WordPress files. Backing up your site is always on you! Non-payment / Late Payment: Delays in payment will naturally delay the design process. Once both parties meet our mutual obligation, a site walk-through will take place, at which time the feedback form must also be completed. 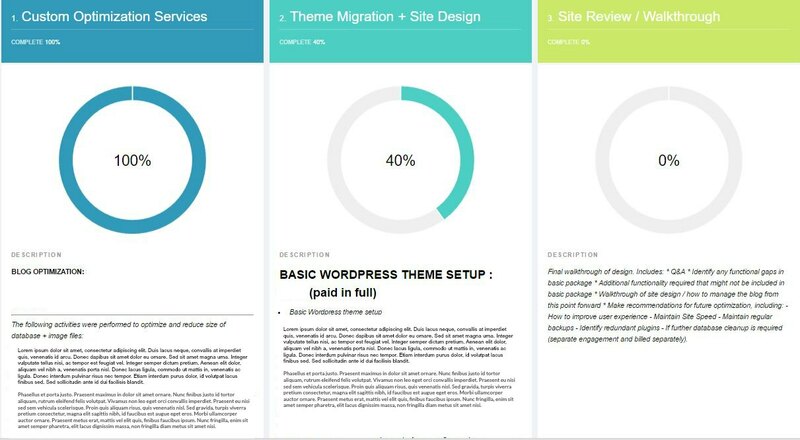 This is the required step indicating that you are satisfied with my work, all tasks have been completed and the project will achieve 100% completion. (More than two weeks of no response or non-payment from clients will result in a project cancellation). Once the design is delivered you are paying for my time. Due to the nature of web design and digital purchases, I do not offer partial or full refunds for any reason. In the event that you cancel your order/project, you will forfeit any payments you have made. These payments will not be counted as credit toward new design work. A full backup of your site is required prior to any design services, CSS changes. Please contact your host if you’re unsure how to backup your site. Once backed up, please ensure all plugins and current versions of your site are up to date. I will not be held accountable for any loss of content / data. A proper backup of your site solves this problem. Just do it! 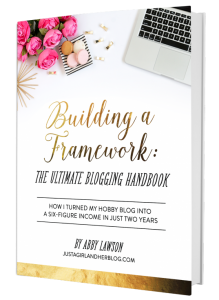 It’s the insurance you need to protect all of your blogging assets. Logos, images, and other materials provided to Snazzy Little Things by clients are presumed to be in compliance with U.S. Copyright law and applicable licensing agreements. Snazzy Little Things and its owners are not liable for these elements. Bottom line; you accept full responsibility for your site! I will work to give you a unique design that is customized to your liking; other websites and blogs want the same benefit, so I will not knowingly directly copy another designer’s work or customization that I designed for another client. Please be sure to back up your site and all related codes (Analytics, ad networks snippets, passwords, etc). Snazzy Little Things and its owner are not responsible for your lost photos, posts, or content.